Release 4.2.7 contains a new component sidebar. Often you can see the component that hides on the side of the content and contains a menu and is displayed on demand. Such a component is called a sidebar. 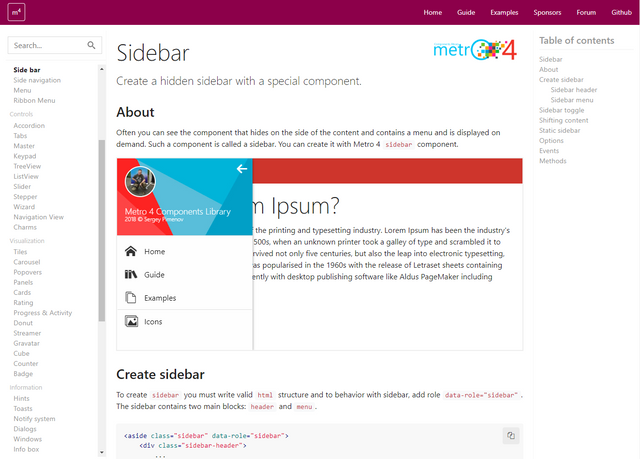 You can create it with Metro 4 sidebar component.